The Midwest UX conference is a unique two-day event that combines inspiring talks with hands-on activities presented by a mix of regional professionals and international experts. Links are the molecular bonds of our web sites, holding all the pages together. They are the essence of a web site. Yet, what do we really know about them? If you create great links, your users easily find everything they need on your site. If you do a poor job, your users will find your site impossible or frustrating.We never discuss what truly makes a good link good. Until now. Jared will show you the latest thinking behind the art and science of making great links. 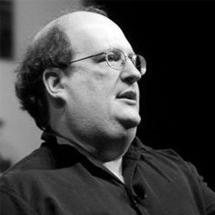 Picked fresh for your consumption: The Midwest UX 2011 program and speaker lineup. The Midwest UX Conference gives sponsors an opportunity to support our growing local and national community. If cultivating awareness of your company and securing access to our audience of professionals and students is important to the future of your brand, please contact us. After a day at the conference, head over to Huntington Park to grab some snacks and chat with other conference attendees! 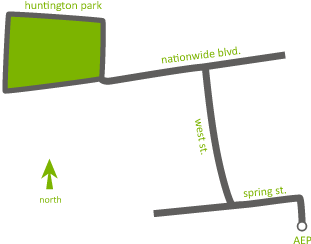 Huntington Park is roughly a 10 minute walk away from the AEP building, where you just spent all day. Either follow the mob of people after the closing remarks, find a local to lead the way, or use the included map to navigate to the social event. Once you head over your trek will be rewarded with hors d’œuvres, good company, and a stocked bar. Although we would love to be able to buy you a round, it just wasn't in the cards this year.